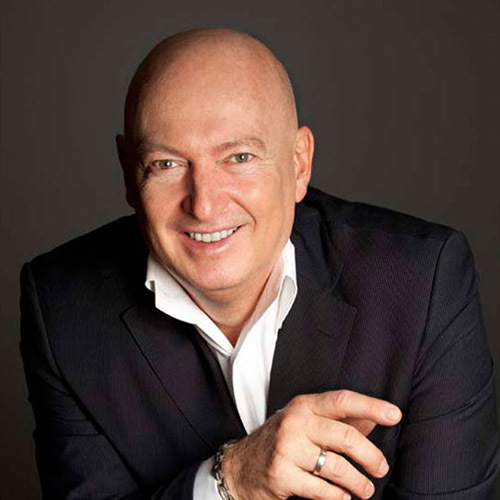 Sir Chef Bruno Serato is an Italian philanthropist, restaurant owner and chef, author and speaker. Sir Chef Bruno has inspired change around the world, speaking for over 30 years at many special events. From speaking at the United Nations to the Vatican Television and National Congress, Sir Chef Bruno spoke in front of an audience of nearly 100,000 people about his charity program, Caterina’s Club, to inspire people around the world to end world hunger. The life of Marcus Giers can be roughly described as „from rags to riches“. Marcus Giers set up his own company, which became the market leader. composers and film trailer producers in Hollywood have worked together with Marcus Giers, producing names and products of German and European companies as a brand in global markets. As philanthropists, Marcus Giers and his wife Claudia believe it is important to be there for others, for people and especially for children who can not help themselves. Marcus Giers and his wife Claudia have several godchildren around the world. They traveled to crisis regions like Haiti to see for themselves and helped. 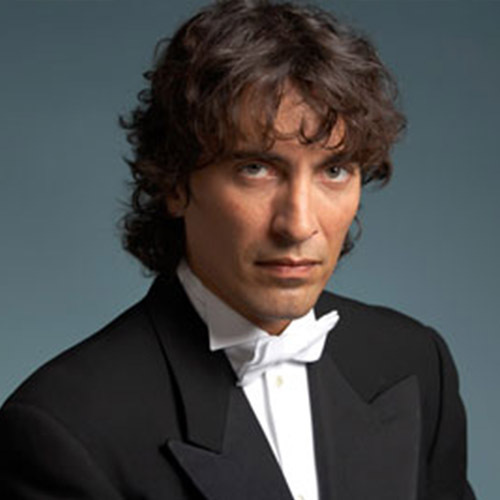 Carlo Ponti junior is the conductor of the San Bernardino Symphony Orchestra in California. He is the son of film producer Carlo Ponti and actress Sophia Loren. Since 18 September 2004 he is married to the Hungarian violinist Andrea Mészáros. hero-worshipped by adoring fans and experiencing an elite earning bracket very few people in the world ever achieve. He was living the American Dream. And it all ended in a moment. At the apex of his success, a paralyzing tackle caused a spinal injury that ended his football career and forced him into the agony ofearly retirement at only 31 years old.After experiencing a profound, life-changing transformation from daily yoga and mindfulness disciplines, Keith developed a desire to share these liberating tools with others. He soon realized that many audiences had little to no exposure to these empowering and healing tools he discovered that were paramount to his healing. Keith started on his new life path: To speak out, teach and lead by example.Today, Keith has again risen to the top of his game. He is a Master Certified Yoga Instructor with more than 12 years of experience, and an International Teacher/Speaker, presenting at such prestigious venues, groups and non-profits as: The Omega Institute, Deepak Chopra’s Homebase (NYC) , Sleepy Hollow Country Club, Four Season Hotel, Wanderlust, Sedona Yoga Conference, LA Coliseum, Just Breathe and Congressional Yoga Association( in Washington DC with Congressman Tim Ryan), Austin Capitol with Unify, LAPD and many more. 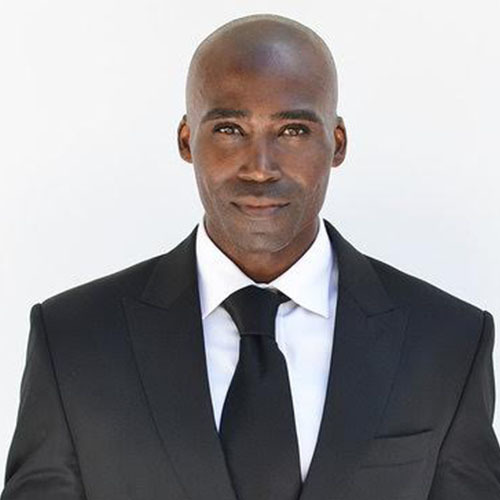 Keith founded The Light It Up Foundation , a 501C3 non-profit organization. Through his charity and altruistic endeavors he initiated the KM59 wellness movement which is intentionally changing the lives of our youth, trauma survivors, first responders and VETS. works with communities, schools and organizations to introduce mindfulness, meditation and movement through Yoga. competition, and became the market leader from the challenger of the industry. In 1994, Matthes placed one of his companies out of nowhere at the top of the market, where it can still be found today, 23 years later. 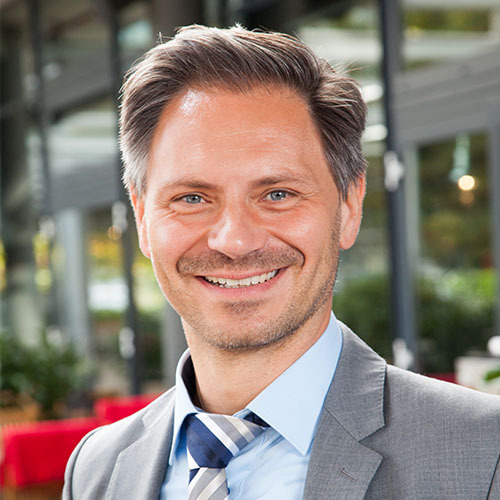 At the same time, he became an international management consultant, mentor and manager of instruction and is hired by the largest training and consulting organizations in German-speaking Europe. 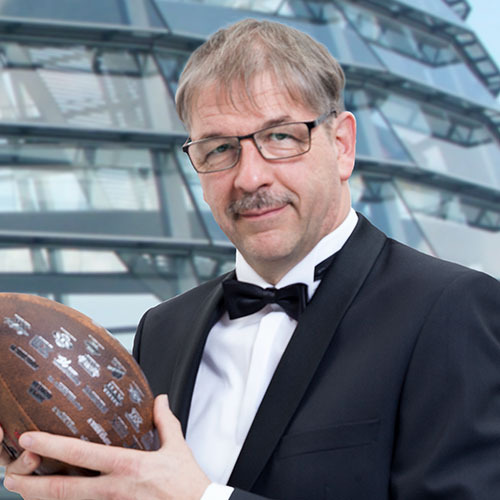 Gerhard Matthes is an exceptional, self-made entrepreneur and person with a special vision. And that does not just apply to the economy. But just as important to him as being a philanthropist is his love for people – and here, too, he achieves something extraordinary. He also runs a non-profit organization, which teaches, cares for and supplies hot meals to almost 100 children every day. He is involved not only in Germany. Through his charity projects he was able to provide the GertiGutperle Foundation with an X-ray machine for the Child Care Center in India near the town of Nagercoil. Bielefeld, he continues to build bridges between science and practice. With this exceptional talent, he succeeds in harnessing the latest findings from various branches of research in the economy. 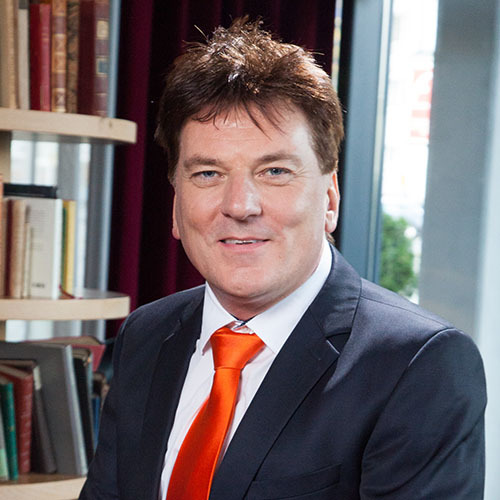 As an outstanding business expert in Europe, he understands how to support the top managers of the world’s leading companies, as well as to communicate with educational and cultural institutions on an equal footing and to further them in their development. According to his motto, „Do good, so it is in the world,“ He sees it as his greatest happiness in his life to share his resources with disadvantaged people, and especially with children and adolescents, making a lasting contribution to create a loving and fulfilled one another in this world. Currently he is using his monetary resources to support a project of street social work in Lithuania, Rakonys for disadvantaged youth. For the past seven years he has been actively involved in two other social projects, actively contributing to the development of a language education and language development concept for elementary school children in the community of Augustdorf. At the same time, he successfully accompanies delinquent male youth and young men with a immigration background in the project „Plan I“ of Pro Regio e.
grandfather to write and perform. Her first time on stage was at the age of four when, along with her older sister, she sang at the Local Italian Hall Annual Christmas Party for five hundred hungry, distracted, screaming Italians. The Born Ultimatum, Spiderman or the Twilight Saga are just a small excerpt from Hollywood Blockbuster on which Dina Morrone participated. Since moving to Los Angeles, Dina has been actively involved with various Theatre Groups and continues to work as an Actress, Voice Over Talent, Writer and Theatre Producer. Dina is the Voice Over Announcer of the American Cinema Editor’s ACE Eddie Awards, held at the Beverly Hilton Hotel in Beverly Hills, the Announcer for the MPSE Awards for Outstanding Achievement in Motion Picture Sound Editing, the CAS Awards (Cinema Audio Society) for Sound Mixing and the (HPA) Hollywood Post Alliance Awards. Dina was invited by the Italian Consulate Office in Los Angeles to be the Master of Ceremonies for the Italian National Holiday – Festa Nazionale Della Repubblica, the MC at UCLA’S Royce Hall for the Orchestra Italiana del Cinema, an evening dedicated to the music of the Federico Fellini’s Movies and their Composers Nino Rota and Nicola Piovani, and the MC for the International Committee of the Los Angeles Philharmonic Association at the 61st International Benefit Ball Honoring the Consulor Corps – an evening entitled ITALIA, centuries of Art and Style – held at the Dorothy Chandler Pavilion.The FBI LA Office invited Dina to be the Keynote Speaker for the FBI Annual Memorial. This was a great honor for Dina as the event is a solemn tribute to those Special Agents of the Federal Bureau of Investigation who died in the line of duty. The event is commemorated annually at the Federal Building in Los Angeles. and emotional worlds. US media called her „The VOICE“ in the world of business. 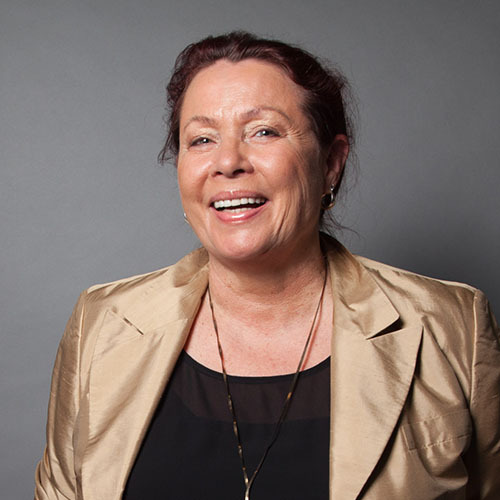 Her passion is neuroscience and the successful development of that within companies and people. On the stages of the world she inspires and inspires people for a new language, their spirit, for charity, international understanding and the belief in the good in the world. She says: „Language unites people, it is energy, it is life, it is our future. many millions with projects, including two products of the year, one received the Cebit Award. 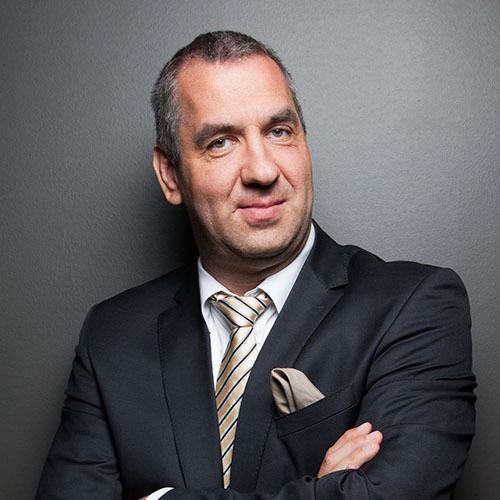 As a top expert, he was engaged by international corporations such as Siemens, Fujitsu and Zeiss, but also worked for medium-sized companies and enterpreneurs. As a mental business designer, he helps companies and entrepreneurs create new realities for the markets of tomorrow. Instead of suffocating in cost pressure and having to reduce staff, the companies he supports achieve top results and growth instead of stifling cost pressure. He also founded several successful companies in the meantime. He bases all his actions on the whole and Immanuel Kant’s principle: „only act according to the maxim by which you can at the same time achieve a universal law“. But he is particularly interested in the development of society. Thus, as an author, he dedicated 5 years of his life to the development of an economic system that really does justice to people and realizes human values. He founded the exchange platform for a people-friendly society, is politically engaged, as well is an expert in the Focus-N Forum for Sustainability and supports godchildren in India and Brazil. Outstanding international personalities from Europe and the USA.